There's one truth on the Australia: you fight or you die. Usually both. Imagine a nightmare from which there is no escape. Seventeen-year-old Chan's ancestors left a dying Earth hundreds of years ago, in search of a new home. They never found one. The only life that Chan's ever known is one of violence, of fighting. Of trying to survive in a hell where no one can hide. The Australia is a ship of death, of murderers and cults and gangs. But way down dark—into a place of buried secrets, long-forgotten lies, and the abandoned bodies of the dead—there might be a way to escape. 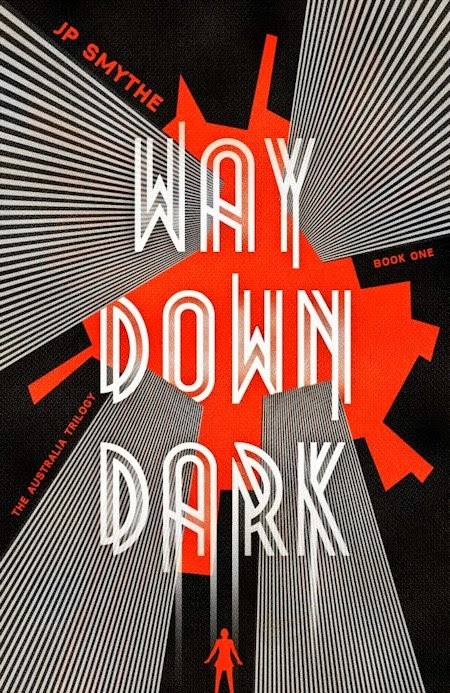 Calling all authors with plans to ply their darker brands in the young adult market: Way Down Dark is like a lesson in how to bring your fiction to a more sensitive sector without sacrificing the parts that made it remarkable. 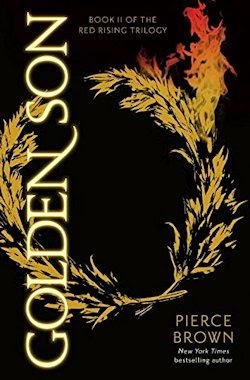 The sensational start of J. P. Smythe's Australia trilogy is to sinister science fiction what Joe Abercrombie's Shattered Sea series has been to fantasy of the grimdark variety: a nearly seamless segue that doesn't talk down to its audience or substantially scale back the stuff some say is sure to scare younger readers away. To wit, it doesn't get a great deal more miserable than this—appropriately given the tone and tenor of Smythe's other efforts. Consider the fact that Way Down Dark opens on its main character murdering her own mother a macabre case in point. And so a plan is hatched, to keep the three free sections of the ship safe by showing the Lows that Chan and the others under her mother's purported protection should be taken very seriously indeed. "Before, the Lows referred to where [these people] lived, not who they were," (p.49) but things are dramatically different when Way Down Dark takes place. See, it's been centuries since the Australia fled a dying earth to make a fresh start in the orbit of a far-distant star, and the promised planet still hasn't made itself apparent. Thus the dark task that falls to Chan: basically a display to keep the Lows at bay. It works, as well. But not for long. The remainder of Way Down Dark takes place a period of years later, at a pivotal point in the age of the ailing Australia. The prologue's protagonist is now south of seventeen; her mother's supposed ghost is long gone; and the Lows—under the leadership of a resentful Rex who represents "chaos, pure and simple" (p.195)—have grown cojones enough to call Chan's bluff. 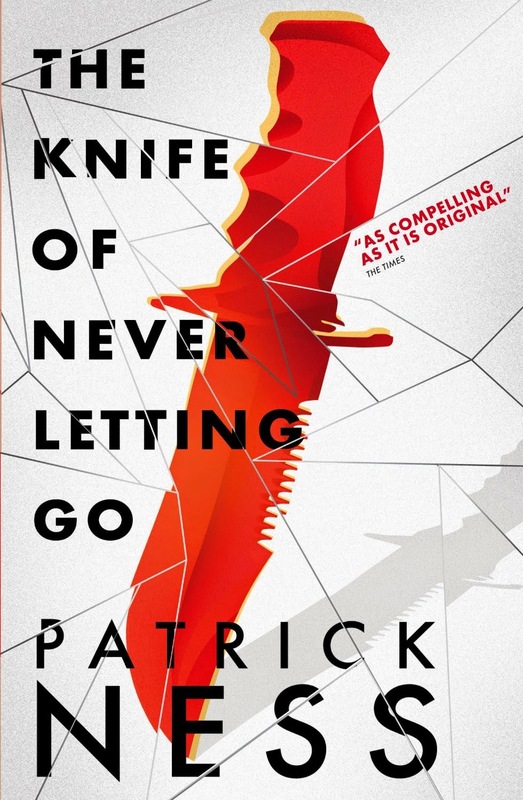 Initially, she resists the encroaching Lows, but Agatha—a friend of her late parent's, and the closest thing Chan has to family—takes pains to put our protagonist in her place. She's no chosen one, that's for sure. She has no particular abilities; no forgotten prophecy to follow; no master to train her in the arts of magic or speculative tech; no-one to support her in any sense other than a frail old lady, and Agatha, in truth, is keener on keeping Chan from harm than saving the several hundred other souls aboard the Australia. But someone has to do something... don't they? "I'm not special," Chan eventually acquiesces. "I'm really not. Anybody could [do] what I'm doing, but they didn't. So I am going to. Maybe that's enough." (pp.202-203) And maybe it would be... in a novel by another author. What Chan doesn't realise, nor should she, is that James Smythe is writing her, and layering weakness upon bleakness is practically his trademark. That said, though Chan's situation is certainly sympathetic, and the sickening things she has to do simply to survive extend above and beyond her moment of matricide, so little of Way Down Dark is devoted to developing her character that some readers are sure to struggle with their feelings for its hero. In large part that's because Way Down Dark is a short novel with a whole lot of plot to push through. 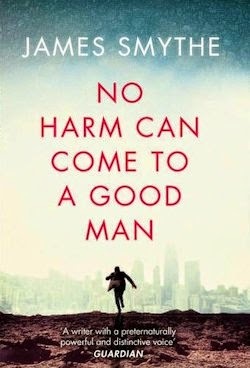 Happily, the action-packed narrative packs a proper punch, a finely-timed wind-up and a terrific twist that serves to make sense of something seemingly insignificant at the same time as preparing the stage for a very different conflict come book two of Smythe's deceptively ambitious trilogy. Way Down Dark is also bolstered by a distinct and deftly depicted setting. The Australia is a desperately dangerous place, rife with life in all its exquisite squalor, where unspeakable secrets are kept in every berth, by dint of which readers realise how easily the game Smythe is playing could change. The upstairs/downstairs social structure also factors smartly into the opposition that proves so pivotal to the fiction. Said stairs are long gone, alas—"salvaged" by those in need of materials—leading to a real sense of the Australia as a lived-in ship marked by the scars of its hellish history. It's a space, in any case, that I'd plum love to explore some more. Whether or not that'll happen, given the twist in the tale, I can't say today. I can say that I'm unbelievably keen to see where the story goes from here, especially if it allows the author to more attentively explore Chan's character. Here, it's clear that he's holding quite a bit of her arc back—too much of it, in truth. Other than that, Way Down Dark is where it's at: an exhilarating if dismaying document that succeeds in the same way Smythe's sinister science fiction has in the past, irrespective of the age of its intended audience.